Is there a noticeably bare spot in the waiting area of your lobby? Does one of the hallways that are commonly walked by customers and employees need a little extra something to draw the eye? Is there a disjointed atmosphere that doesn’t seem to connect with your customers in a friendly way? No matter what the issue is, SpeedPro Imaging Greensboro has the visual solution for you. It’s very likely that your office needs just one piece of decoration to tie the room together, so invest in a decorative and also branded product! 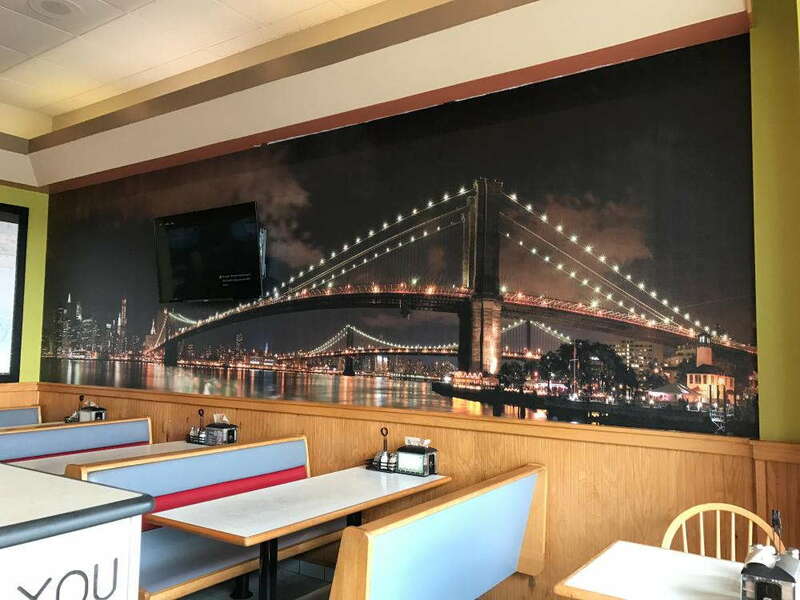 Our wall murals for businesses are customized for your specific branding needs, making sure there’s a connection to be made between your company, your customers and your employees. Our studio extends its services to businesses and organizations located in Greensboro and around the Piedmont Triad area — Asheboro, Burlington and Kernersville included. Reach out to our studio if you’re looking to add some new life into your office! If you need something to dramatically emphasize your office space, you’ll find that large format wall murals can do the trick. One large wall mural can make a statement that speaks volumes within the entire room, whether that’s a lobby, reception area, hallway or conference room. Vibrant printed wall murals emphasize your business and brand with the help of boldly designed graphics and vivid, fade-resistant inks. Before we get started on any designs, we’ll sit down for a one-on-one conversation, where we’ll get to know you and your project requirements. We’ll also ask you two specific questions: Who is the wall mural intended for, and where will it be placed in your office? 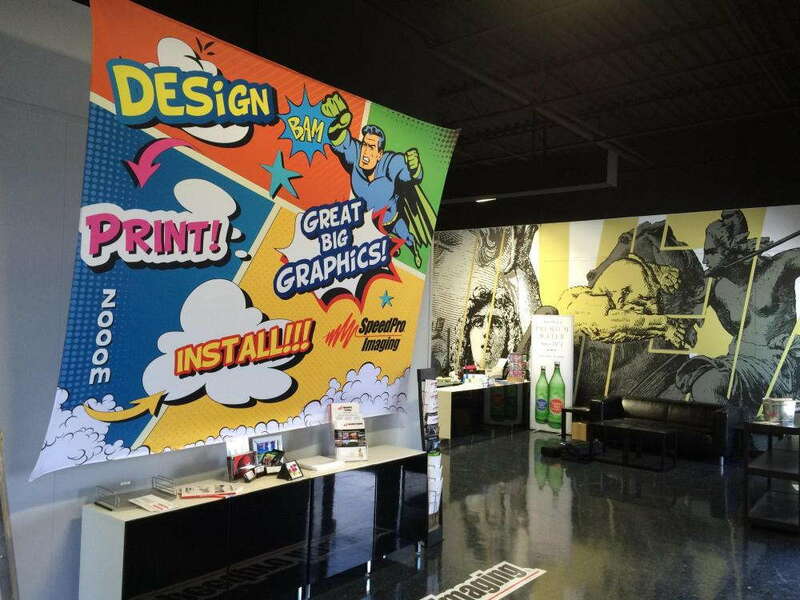 The reason we ask these is to make sure your custom printed wall mural will convey the right message to the right people in the right parameters. You may have noticed a bare spot that sticks out in your lobby area. This space is a great place to install a large format wall mural. It will not only tie the room together and make it feel full but also greet customers and make them feel welcome as they walk inside. You can feature specific products or services or create a visual graphic that embodies your company’s spirit and business. You may also feel like connecting — or reconnecting — with your employees. If you’ve noticed that work ethic has declined or that there’s a lack of motivation in your team, you’ll need to inject some inspiration into the work office. Inserting a vinyl wall mural will brightly and dramatically catch their attention, giving them a daily pep talk as they begin their day. 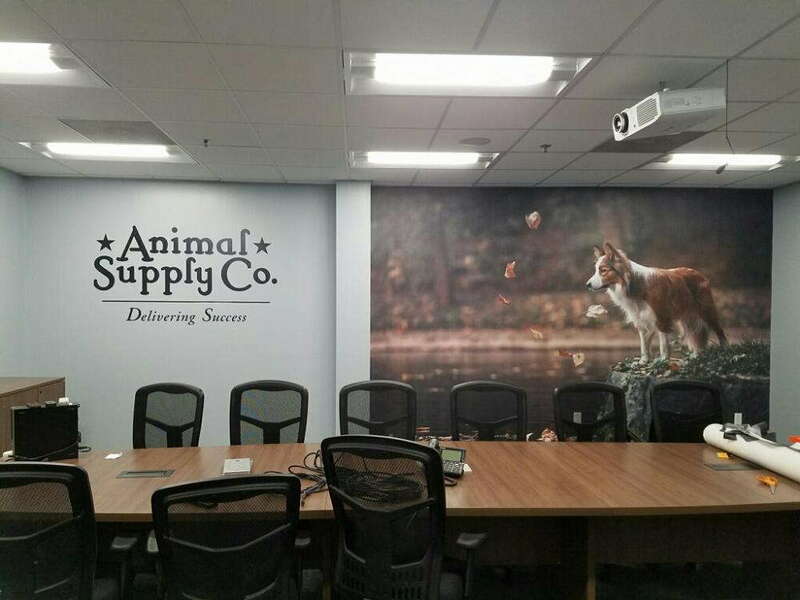 Including a vinyl wall mural in a conference room can also greatly benefit both your employees and your customers. Give them the drive they need to make sales and discuss negotiations, all while keeping your company’s goals and mission statement within eyesight. 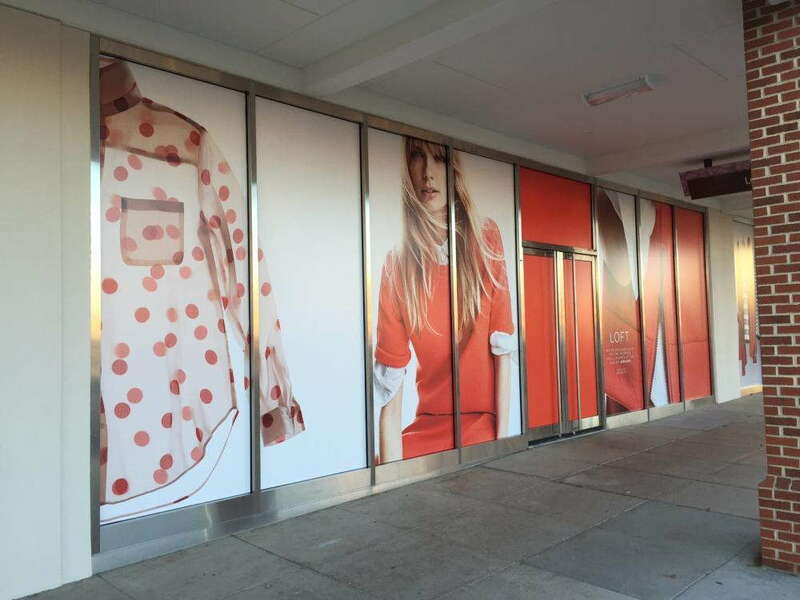 Large format wall murals can do a lot for your business as far as making connections and creating a welcoming and work-focused atmosphere. Call us today to schedule your consultation and start designing yours!